Family League submitted testimony in support of the elimination of suspensions and expulsions for prekindergarten students, citing negative educational and long-term outcomes for the students disciplined in that manner. Additionally, male students, students of color, and students with disabilities are disproportionately impacted by current suspension and expulsion practices. Read Family League’s testimony in support of this bill here. After a unanimously favorable vote in the House last week, the Hunger-Free Schools Act of 2017 sailed through its Senate committee hearing to a similarly unanimous victory on Thursday. The bill was passed along with SB360, the Maryland Cares for Kids Act, which will require the state to leverage federal funds to cover the full cost of school meals for students who are eligible for reduced-price meals. The testimony Family League presented in support of the House version of the bill can be found here. The reauthorization of the Community Eligibility Provision (CEP) of the Hunger-Free Schools Act of 2015 will extend CEP through 2022, and allow Maryland to remain at the forefront of the fight against childhood hunger. For more information on the impacts of the reauthorization of the Hunger-Free Schools Act, check out our op-ed in the Baltimore Sun here. The Baltimore Partnership to End Childhood Hunger joined a panel of organizations and private citizens to testify in favor of a bill that would repeal the year-long waiting period currently required to reinstate food and cash assistance benefits to nonviolent felony drug offenders after they’ve served their sentence. The bill hopes to reduce recidivism rates by providing reintroduced citizens with a reliable means of supporting themselves and their families as they transition back into society. The Maryland Farmer’s Market Association showed their support for a bill that would double the purchasing power of the existing SNAP benefits program at farmer’s markets around the state. If passed, EBT card holders would be able to purchase twice as much fresh food at farmers’ markets, and farmers would earn twice as much from sales. Members of the Association and their supporters were so committed to the cause that they dressed up as produce items for the event! On Valentine’s Day, the Maryland Coalition for Community Schools showed legislators in Annapolis the many reasons there are to love community schools. Community School initiatives from around the state were represented at the event, as were students, in the form of valentines that were presented to lawmakers, along with information about each program. Delegate Mary Washington of Baltimore City and Jonathon Rondeau, Family League President & CEO, were feeling the love! Family League joined Local Management Boards from around the state at the Governor’s Office of Children’s Ice Cream Social on Tuesday to share information about the progress we’ve made and the many initiatives we manage as a part of our vision of a Baltimore where every child grows up in a family that thrives. The Senate Budget and Taxation Committee will hold a budget hearing on the Governor’s Office for Children on Tuesday. Family League President and CEO Jonathon Rondeau will be on hand to testify on how Family League helps fund initiatives across the city. To learn more, check out our state district investment maps here. Read the House Appropriations Committee version of the testimony (from 2/10) here. This bill would enable the Department of Housing and Community Development to provide small loans of no more than $50,000 to projects aimed at increasing access to fresh, healthy food in areas that are considered food deserts. Family League expects to testify in support of this bill. 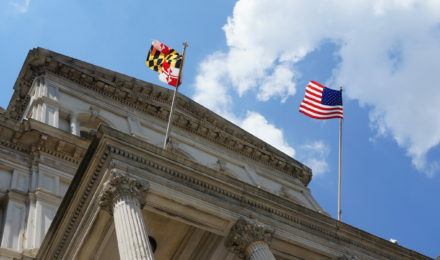 This bill changes the definition of “foster care recipient” to include students who lived outside of their homes at the time of high school graduation or GED completion, and extends the tuition waivers previously only offered to students who entered the foster care system through Maryland Department of Human Resources to unaccompanied homeless youth. Family League expects to testify in support of this bill. On Wednesday, the House is expected to vote on the Maryland Healthy Working Families Act, a bill that will require employers with more than 14 employees to provide at least 1 hour of paid sick leave for every 30 hours the employee works.